Foods that Cause Snoring – Is Your Snoring Linked to What you Eat? Snoring impacts more than half of the population and may actually be caused by what you eat. They say you are what you eat, right? Well, what if you snore because of what you eat? There are many foods that are a part of our daily diet that may be the underlying cause of your snoring. Many foods that are considered healthy and nutritionally beneficial may also have properties that can trigger or activate snoring. Let’s examine some foods that cause snoring as well as foods that prevent snoring. Drinking milk before bed, or any time of day for that matter may just be the underlying root of your snoring problem. Many people have trouble digesting cow’s milk or any other product derived from milk. Dairy products in general noticeably produce mucous in the throat that may form a lining down the airway which causes the blockage of airflow. This obstruction in the airway causes our tissues to vibrate as air tries to pass by and creates the sound of snoring. An excessive buildup of mucous can play a huge role in causing you or your partner to snore. Dairy products that include milk, cheese, sour cream, yogurt, and heavy cream all leave a residual layer of mucous behind after swallowing. The mucus can become thick enough, depending on how much dairy you are eating, and what specific kind of dairy, and can be the culprit of your snoring. The mucus can also form in your nose and sinuses and block the flow of air through your nose at nighttime, which can also cause snoring. 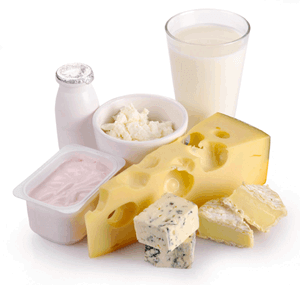 Try steering away from eating ice cream, cheese, or other dairy products at night, especially right before bed. If you experience seriously loud snoring, try experimenting by eliminating all dairy from your diet for just one week. You may be surprised to see that your snoring may disappear completely. If you do decide to stop eating dairy, pay attention to processed food ingredients because milk can be disguised in powder form and is included in many boxed bread mixes, dry mixes, and prepared food. Milk not only produces phlegm and mucous buildup in the throat, but it can also cause inflammation in our bodies, especially in the mouth and throat where it is ingested and digested. Inflammation is another cause of snoring, as it inflames the throat tissues and physically obstructs the flow of air. Red meat is known to be loaded with unhealthy saturated fat. Saturated fat causes inflammation of the muscles in our body and can cause the nose and throat to be inflamed as well. When the nasal passage and airway become inflamed, the flow of air is blocked. An obstruction or blockage of air always results in snoring. 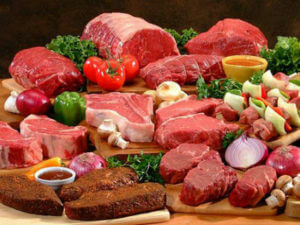 If you are faced with eating a late night meal, try to steer away from eating red meat late at night. You can try replacing the red meat with a leaner choice of fish. Some fish are also fatty but contain fatty acids which reduce inflammation instead of saturated fats that cause inflammation. Believe it or not, vegetarians should stay away from soy right before bed, as it’s one of the most mucus producing ingredients out there. 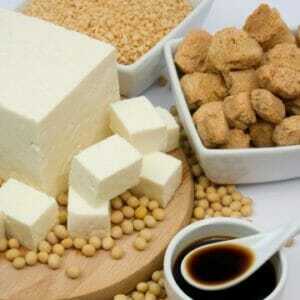 You don’t have to be a vegetarian to eat soy either – soy is used in almost every processed food that you eat. Soy has become a staple “filler” ingredient since it can be manipulated in many ways and is basically tasteless. Staying away from soy can be hard because it really is in everything, but if you can avoid it right before bedtime it will be most beneficial to you and your bed partner and curb snoring. Tea, coffee, soft drinks, and energy drinks all stimulate snoring, and they can keep you up at night. Most consumers think that tea is caffeine-free, but it’s not. It doesn’t have as much caffeine as coffee, but it’s still a stimulant. 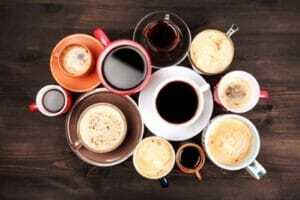 Caffeine is known as an anti-sleeping aid and causes inflammation in your body. As described earlier, when your throat and mouth tissues become inflamed, they obstruct the flow of air which leads to snoring. It’s best to avoid caffeinated products, especially right before bed. If you can go without caffeine after 4 PM, you may be surprised to hear that your snoring can subside. A good rule of thumb is to not eat at all before going to bed. If you give yourself a solid 2-3 hours of not eating before bedtime, you should be able to get a good night of sleep, without the snoring. Just remember that food is not the only cause of snoring. There may be another issue that is causing your snoring like sleep apnea or another serious sleep disorder. 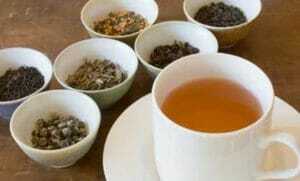 Hot tea has many health benefits and may reduce snoring. However, most teas have caffeine, contrary to popular belief. Even green tea has caffeine, however, it’s much lower when compared to black tea or other teas. Pick up some decaf tea at your next stop at the grocery store or look into other herbal teas that are low-caffeine or caffeine-free. Hot tea (remember – decaf!) is good at night, especially with lemon. Lemon is a natural decongestant and can unclog your nasal passageway and your sinuses. Hot decaf tea with honey is also a good option to drink in the evening or before bedtime. Honey is an anti-inflammatory and may reduce swelling in the throat. Did you know that professional vocalists and opera singers take regular doses of honey to open their airway and accentuate their vocal chords? If you are not a tea drinker, but would still like something warm at night before bed, try microwaving a mug full of plain water. Hot water removes phlegm that may block the airway and can prevent snoring. Although onions do not sound amazingly appetizing right before bedtime, onions contain healthy antioxidants that reduce inflammation in the body. Onions also target mucous and phlegm built up in your sinuses and help to prevent and stop snoring. You can include onions while cooking your dinner, or create your own onion elixir as a nightcap. In conclusion, there are several foods you can avoid before bedtime to help alleviate or prevent your snoring. Although they are not all full-proof, it’s best to not eat at all 2-3 hours before bedtime, especially right before you go to bed. If your snoring persists even after holding off on certain foods, you should speak with your doctor regarding any other serious concerns that may be causing your snoring. Your doctor or medical professional can diagnose and treat any type of snoring disorder, including sleep apnea. Next post: Snoring Mouthpiece Vs Snoring Chinstrap -Which One Is Better? Previous post: Where Does Snoring Come From and How to Choose a Product That Stops it?